The Orlando Film Commission is a proud returning sponsor of the festival, specifically the Florida Sidebar series. With the goal of marketing Central Florida as an ideal filmmaking destination, the FFF continues to provide a strong platform from which to spread that message. From directors and producers, to cast and crew, 14 FFF films feature Orlando talent amplifying the creativity of the region alongside submissions from acclaimed national and international filmmakers. Woman in Motion: directed by Orlando creative director and producer Todd Thompson and shot in various locations throughout the Orlando region and the Space Coast. 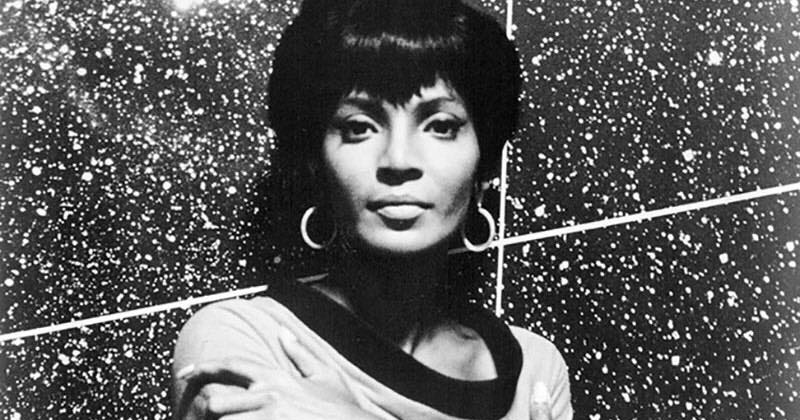 The film celebrates the life and accomplishments of Nichelle Nichols, arguably the single most important figure in history for the recruitment of women and minorities to the field of space exploration, specifically the NASA space shuttle program, and recently set a record for number of tickets sold for any FFF opening night film. An Evening with the Blair Witch: A 20th Anniversary Celebration: written, directed and produced by five University of Central Florida alumni; a Q&A session will take place following the screening of this low-budget supernatural chiller that test-screened at Enzian and remains the highest grossing film in the 34-year history of the theater. Marching Forward: created by UCF honors students with Lisa Mills, associate professor of film, Robert Cassanello, associate professor in history, and Timothy Brown, news videographer at WESH. This UCF Burnett Honors College production follow’s Parramore’s all-black Jones High School marching band’s performance at the 1964 World’s Fair in New York City and examines how embracing progress may have spurred financial investments in Orlando. Always in Season: focuses on the tragic 2017 lynching of 17-year-old linebacker Lennon Lacy in Bladenboro, NC, and examines the tragic reality of systemic racism and the race deliberations that came with it. Orlando-native Jessica Devaney co-produced the film. Dons of Disco: explores the life and work of Den Harrow, one of Italy’s biggest superstars in the ‘80s, and American singer Thomas Barbey who was actually the voice of the singer. The film’s Director of Photography is Sean McDaniel, from Winter Park. Hierophany: the directorial debut of Kevin Contento a Colombian-American filmmaker and UCF alumnus, the film follows a Florida boy comes in contact with the sacred. Hanging Bear: the world premiere of this animated short film by UCF students centers on a boy’s hunt for a dangerous beast at the center of the forest. Nothing is a Thing: the world premiere of this dramatic short film by UCF students examines a couple’s attempt to cultivate normalcy on their last night together. Postal: based on a true story and directed by UCF alumnus Tyler Falbo who was assisted by UCF students, the film reimagines the emotional meltdown of a Jacksonville millennial. Self-Portrait: Impermanence: directed by Nick Twardus, UCF graduate teaching associate MFA student in Emerging Media/Entrepreneurial Digital Cinema, the film focuses on Florida’s natural landscape. Sweet Steel: directed by UCF alumnus Will Gross, who worked as a former Orlando Weekly contributor, the film follows a hopeless man as he searches for a tasteful way to end his life. That’s It: co-directed by Nikki Willson, course director for Full Sail University’s Bachelor of Film degree and Jimmie Roberts, who received his bachelors and MFA at Full Sail, this short tells the story of a young woman, nervous about her first sexual experience, who gets advice from her eccentric aunt. The Toll Road: produced by UCF MFA alumnus Danny Daneau and featuring Billy Gardell, who is a graduate of Winter Park High School, this short follows two eccentric lovebirds on the eve of their ninth wedding anniversary. The Monarch Initiative: the Full Sail University and FilmSlam documentary is produced in partnership with the Nature Conservancy and focuses on the eco-minded Orlando neighborhood Audubon Park. Filmmaker Forum: Always a lively exchange, the filmmaker forum brings together talent from several projects to discuss filmmaking processes, challenges, successes and overall insight into the industry. Part of the Florida Sidebar, this panel will be moderated by Sheena Fowler, Orlando Film Commissioner. Free and open to the public! Industry Party: Hosted by Women in Film & Television Florida, the Industry Party is an invitation-only party for industry professionals both locally and abroad. Be sure to check out the full lineup of Florida Film Festival films and events.